The Chameleon Crown, Anne Twomey, The Federation Press, 2006. This book sets out the history of Australia's relationship with the United Kingdom and the Crown. It uncovers the secret negotiations between the States, the Commonwealth, the British Government and the palace about ending the colonial links between the States and the UK in 1986 when the Australia Act was passed. An Australian Republic, Anna Krawec-Wheaton and Greg Barns, Scribe Short Books, 2006. Suggestions for a practical approach to becoming a Republic in the current Australian political environment. Draws on Anna Krawec-Wheaton's research for her 2003 PhD thesis at the University of Tasmania: "The Republican Push"; Greg Barns was chair of the Australian Republican Movement from 2000 to 2002 and Campaign Director for the YES Committee in the lead-up to the 1999 Referendum. The Great Republic of the Southern Seas: Republicans in Nineteenth-Century Australia, Audrey Oldfield, Hale and Iremonger, 1999. 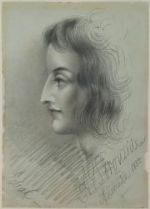 Read about republican and artist, "slight, dark-haired and fiercely independent" Adelaide Ironside d 1867, a disciple of John Dunmore Lang and who knew, and reputedly loved - Daniel Henry Deniehy, two of our greatest 19th century republicans (see below for further references). Ironside Street in Weston ACT is named after her (see also Jill Poulton's "Adelaide Ironside, the Pilgrim of Art"). And also about Louisa Lawson active towards the end of the century. This Country, A Reconciled Republic? Mark McKenna, UNSW Press, 2004. Puts forward the view that the two great symbolic issues of Australian politics in the 1990s - the republic and reconciliation - are inextricably linked. Australian Republicanism, A Reader: Mark McKenna and Wayne Hudson, Melbourne University Press, 2003. Contains a history of Australian republicanism from 1788 to 1999 from original sources, mostly newspapers and very little contributed by women - one notable inclusion being a 1987 statement by Franca Arena, former NSW Minister and Member of the Legislative Council, with reasons for her support for an Australian republic. The People's Protest: Kerry Jones, ACM Publishing, 2000. An account of the 1999 referendum campaign by the Executive Director of Australians for a Constitutional Monarchy. The Case for YES edited by John Uhr, Federation Press 1999 - contains papers given at the National Convention of Republicans in February 1999 including those of Kate Carnell, Amanda Vanstone, Natasha Stott Despoja, Marise Payne, Dorothy McRae McMahon, Marilyn Lake and Marian Sawer. For papers given by women from Young Australians for a Republic, refer to the YAR website. Why I want to be King of Australia, Edward de Bono, Penguin 1999 - and he has no objections to having a Queen of Australia, or Boomaroo; some lateral thinking on the subject of the new Australian head of state - and it's got big print. Two Weeks in Lilliput, Bear-baiting and Backbiting at the Constitutional Convention, Steve Vizard, Penguin 1998 (useful booklist p.373 -375) - an entertaining read providing good background to current issues and the referendum. Queens, Kings and Presidents, bringing women’s perspectives to the Constitutional Convention, YWCA of Australia, 1997 (may be out of print) - a brief summary of the issues, very well presented and contains many references to books, newspaper and journal articles all by women. The Minimal Monarchy and why it still makes sense for Australia, Tony Abbott, Wakefield Press, 1995 - a useful summary of the background to the current action on the Republic mostly sourced from newspapers and presented from an opposing point of view. With thanks to Elizabeth Nugent, a member of ACT Australian Republican Movement who compiled the list of 1993 and 1994 texts.